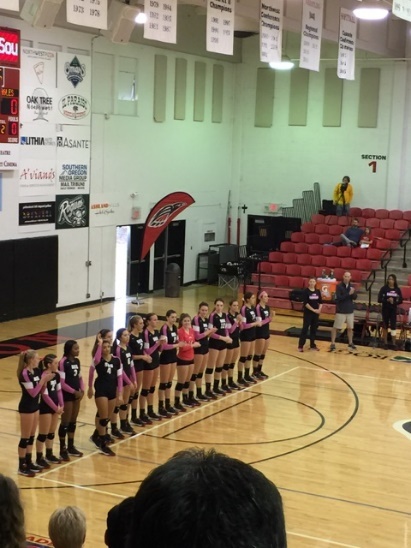 Donning their pink breast-cancer awareness uniforms, the 11th-ranked Raiders volleyball team strode onto the court, determined and focused. As the team warmed up, they did not look like a group concerned with merely preserving their winning streak, but instead like one of rigorous preparation and cooperation of skill, as if they were preparing to compete in a national championship each day. It was quite an impressive show of training and ability. The gymnasium was filled with shouts and instructions from one player to another. It was a rare occurrence when a ball went un-volleyed (when a ball hit the floor) or when a cue was misunderstood. It was clear that the Raiders’ team, if not more talented, was well practiced in comparison to the opposing teams. At the start of both games the Raiders showed a fiercely competitive approach. The team’s dedication to each other and to the game was apparent in each set. The Friday night match against the Evergreen Geoducks was one of high anticipation and outstanding victory for fans and players alike. Despite a three-set-sweep by the Raiders, the team did not escape without overcoming a bit of adversity. The Geoducks made a significant run during the 2nd set of the match, taking the lead by a full seven points after going up 15-8. It was at this point the Raiders seemed to regain their focus, winning the 2nd set 25-17, and ultimately the 3rd as well. 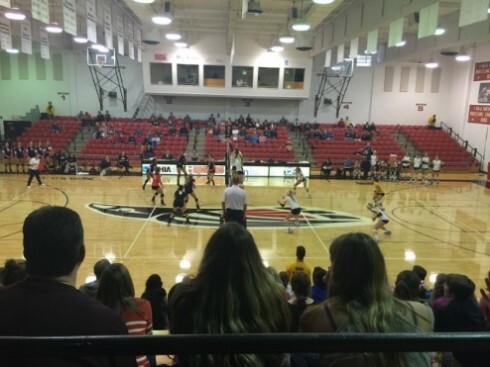 The Saturday afternoon match against Northwest led the Raiders to their 9th consecutive win and in turn the team gained sole possession of the first place spot in the Cascade Conference. 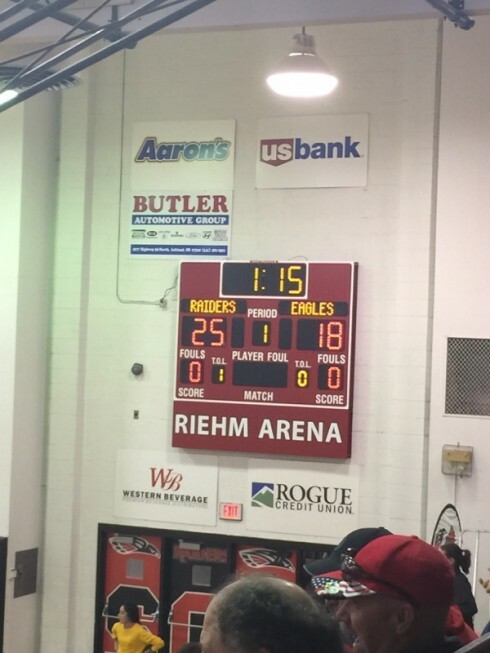 The Raiders took the 1st, 3rd, and 4th sets, losing only the 2nd set by six points. Emma Gasman, a sophomore at SOU, was a steady presence in the middle throughout both games this past weekend, playing two of her most efficient games this season. She is a clearly talented, and her skills were showcased this weekend with a new career high of 20 kills on 32 swings against Northwest University. Which was preceded by another extremely efficient night on Friday, against Evergreen State, where she had 13 kills on 19 swings accompanied by a .526 attacking average. Other key contributors were Lauren Mcgowne, who had 39 and 58 assists against Evergreen and Northwest, respectively, and Motade Atanda who had 36 kills and 17 digs between the two games. The Raiders volleyball team will be on the road next weekend, facing College of Idaho on Fridayand Eastern Oregon on Saturday. Ebola: Are the Risks Real?